MSA offers free file hosting so you can add a file to an email or link in your directory and share it with your parents. You can upload and share many types of files including images, documents and spreadsheets. 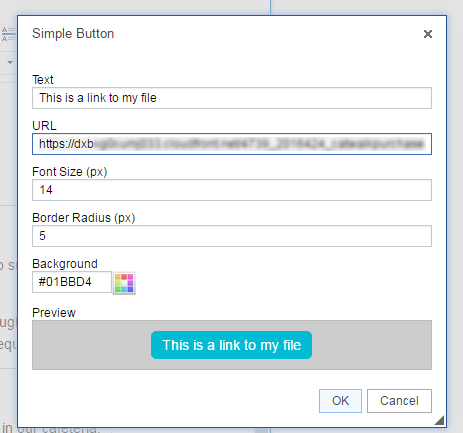 If you've elected to insert your file link as a button, you can style by clicking on the button icon in the Editor toolbar. This allows you to change the text and color. IDO NOT remove the URL as this is the link to your file!